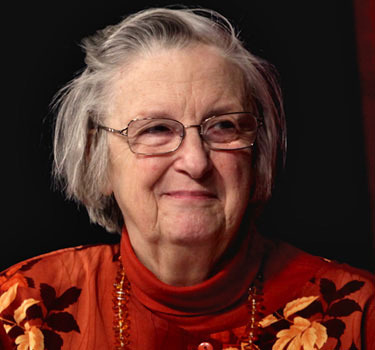 Elinor Ostrom, who died June 12, 2012, was an inspiration to CHANS-Net and was an original member of the advisory board. She is the first woman to win the Nobel Prize for Economics, which was established in 1968. She was honored for her analysis of economic governance, especially the commons. In addition to her positions at Indiana University, Ostrom is research professor and founding director of the Center for the Study of Institutional Diversity at Arizona State University. An IU faculty member since 1965, she co-founded the Workshop in Political Theory and Policy Analysis with her husband, Vincent Ostrom, in 1973. She served as president of the Public Choice Society from 1982-84 and president of the American Political Science Association in 1996-97. She was the first woman to chair the Department of Political Science in 1980-84. Ostrom received her B.A. at the University of California, Los Angeles, in 1954; her M.A. at UCLA in 1962; and her Ph.D. at UCLA in 1965.